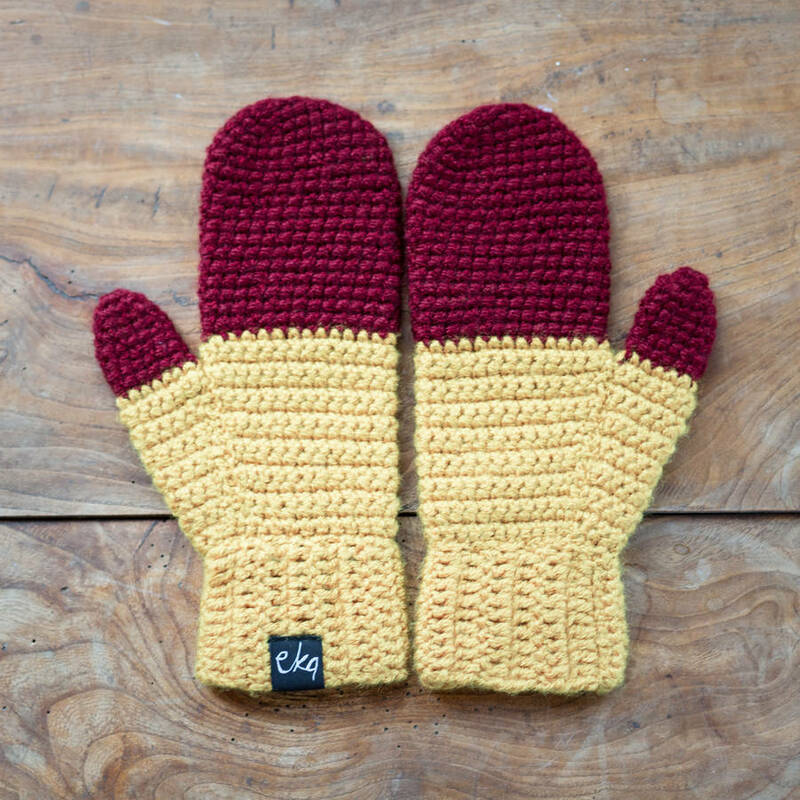 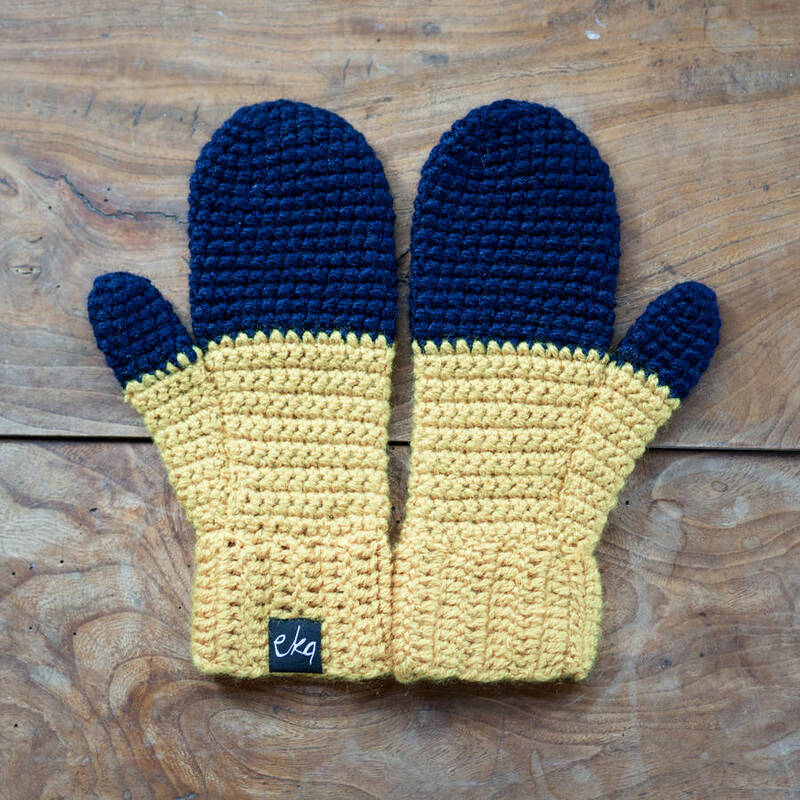 These woolly mittens are crocheted by hand in a half and half design which is inspired by dip dying and rhubarb and custard boiled sweets! Made with vegan acrylic yarn in an array of colours that will brighten up your winter's day. 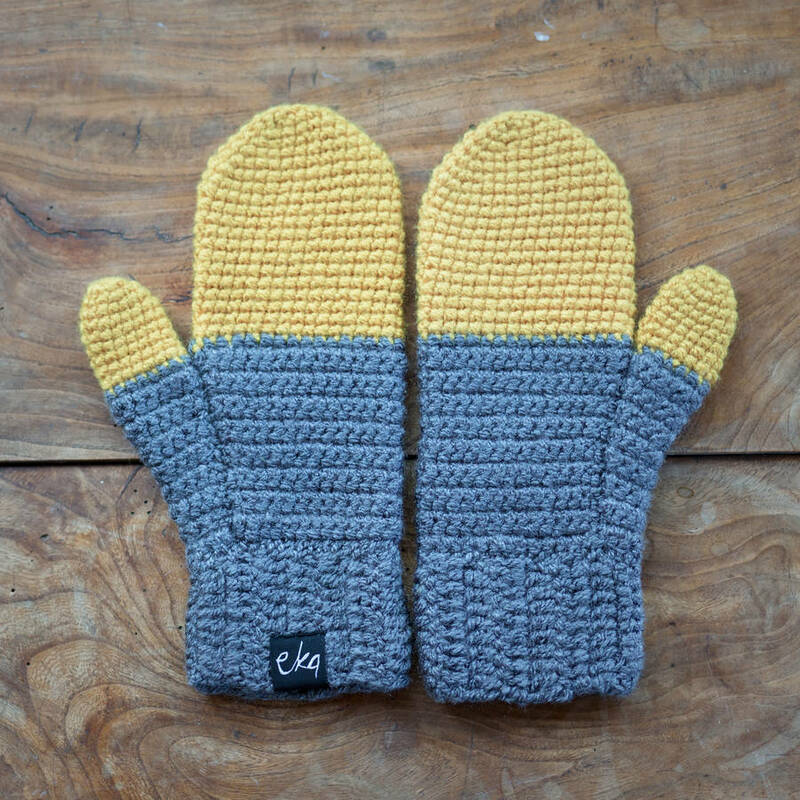 100% Acrylic yarn. 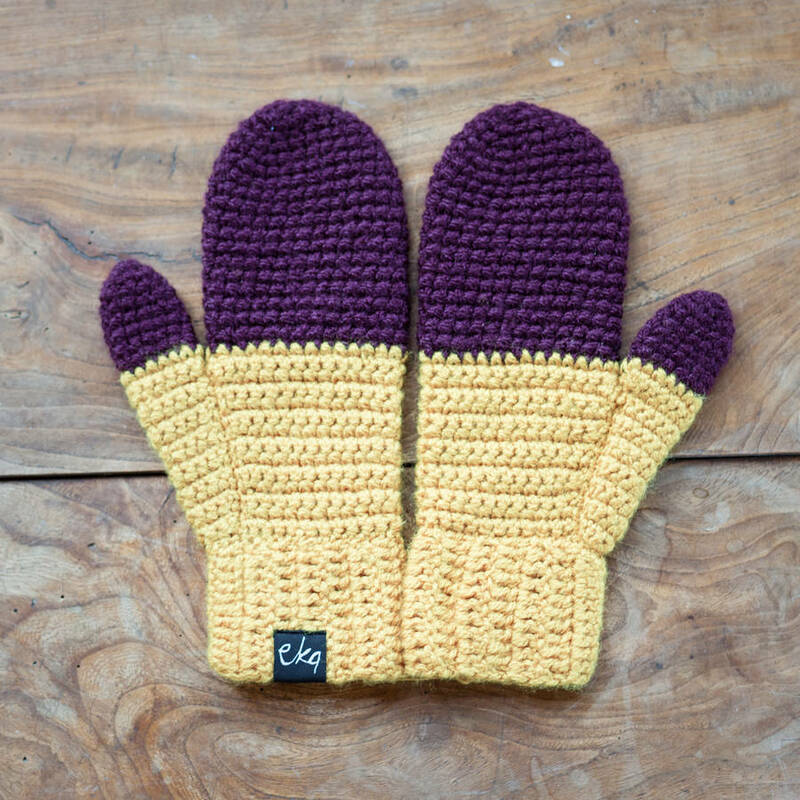 You can machine wash these mittens, but hand washing will help them and our planet live even longer.